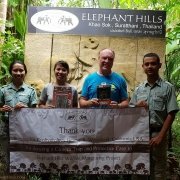 As reported earlier, the previous recording period was quite challenging for our cameras due to intense humidity and increased presence of wild elephants. However, despite losing most of our motion triggered cameras we use within our Wildlife Monitoring Project, we managed to recover some great footage! 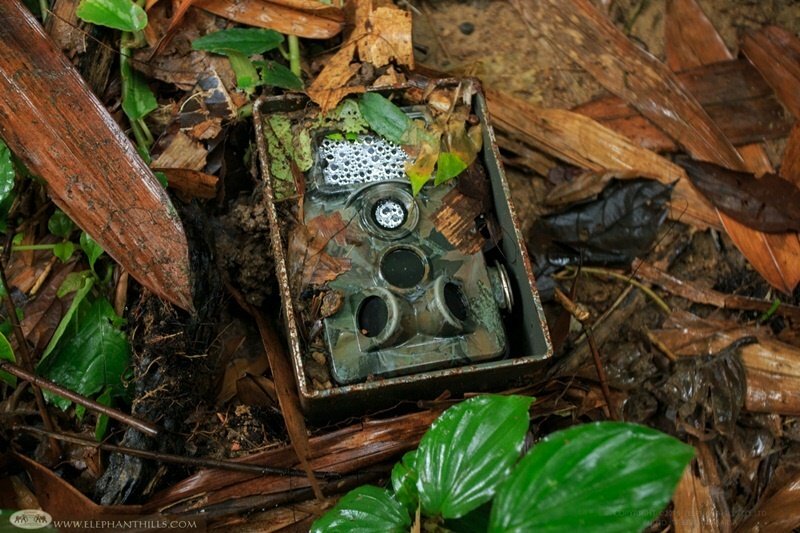 Take a look what we found roaming in the depths of Khao Sok National Park. With the first clip, we bring you plenty of joyful wild boars. We were happy to see that the population is thriving with numerous babies and youngsters running around and playfully wrestling with each other. The wild boar sub-species commonly found in Thailand and Khao Sok is called Indian boar, and its conservation status is “least concern” on the IUCN list. The Indian boar is taller and hairier than its European counterpart, with a large mane running in a crest along its back. Reaching their full size, they usually weigh between 90 to 130kg. Wild boars live in matriarchal societies consisting of females and their young (both male and female). Like male elephants, fully grown male boars are usually solitary outside the breeding season. The smallest piglets have a very special coloration. This neonatal coat with cute stripes fades away after three months, and the fur gets its adult coloration by the time the piglet is 8 months old. The neonatal coat acts as a great camouflage when then the piglets start to leave the lair and follow their mother to her journeys for the first time, at the age of 2 weeks. We also gathered some fantastic footage including eight species, three of which are listed as “vulnerable” and two as “endangered” on the IUCN list. One of the endangered species spotted was Malayan tapir. There are five species of tapir in the world, and Malayan tapir is the largest in size. They usually weigh between 250 and 320 kg, although some larger individuals can weigh up to 540 kg! Tapirs prefer to live near water and like to bathe and swim, and they are also able to climb steep slopes. Hence, Khao Sok National Park and especially the jungle surrounding Cheow Larn lake is the perfect habitat for these wonderful animals. Tapirs are mainly active at night, and due to their very poor eyesight they have to rely greatly on their excellent sense of smell and hearing. Thanks to their size, Malayan tapirs have very few natural predators. However, unfortunately over the recent years, human activity, including deforestation, damming rivers and illegal trade has become the biggest threat to the Malayan tapirs. Loss of habitat has driven these magnificent animals to the edge of extinction, but with the remaining protected evergreen forests, such as Khao Sok National Park, we believe there is still hope left. 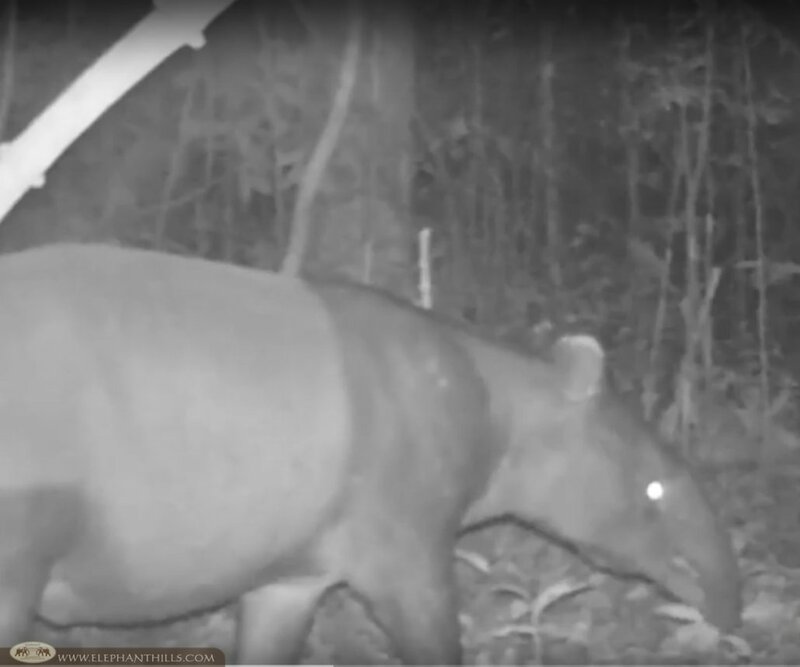 From our camera trap footage over the years we can see that tapir might not be the most common mammal roaming in the forest, but at least they are still out there! We hope you enjoyed our latest footage, we’ll continue to keep you updated on our findings within our Wildlife Monitoring Project! Tell me more about the Wildlife Monitoring Project!